Robert Griffin III’s conspicuous ushanka-the one he wore during his post game news conference following the loss to the Buccaneers on Sunday-wasn’t the talk of the conference afterwards. However, after his comments during the conference backfired on him, the Washington Redskin’s quarterback may have wished his ushanka had upstaged his words. Unfortunately for RGIII, his post game comments have been scrutinized, condemned, antagonized, and dissected by the public. 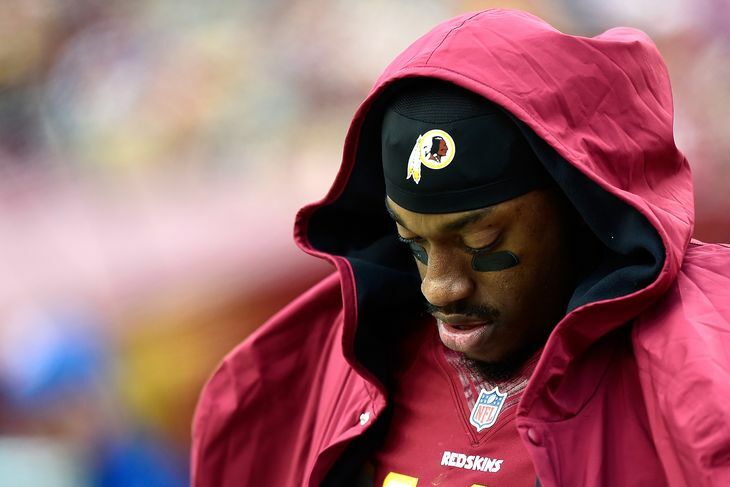 Did RGIII deserve the harsh ridicule for his comments? Absolutely not. But when you play the most popular position in sports, for the nation’s capital, and are one of the most electrifying players the NFL has seen in recent years, these kinds of things come with the territory. In the words of RGIII, “It takes 11 men. It doesn’t take one guy, and that’s proven…I need everyone of those guys in that locker room, and I know they’re looking at me saying the same thing”. And I couldn’t agree anymore with that bold statement. RGIII wasn’t unfairly criticizing his team. He was simply holding his team (and HIMSELF) accountable for their recent subpar play. As a quarterback and leader, it is your job to praise your team when they do well and motivate your team when they play bad. What was he supposed to say after a horrendous game like that, “I want to thank my outstanding offensive line and receiving corps for playing above and beyond my expectations.” Oh Puh-Leeze! Lets be fair here. RGIII was farm from sharp on Sunday and his poor play- two 1st quarter interceptions- contributed to the loss. However, its hard for any quarterback to get into a rhythm when you’ve been sacked six times throughout the game. Not to mention, he’s still not 100% healthy; in addition to adapting to a new offense under first year NFL offensive coordinator Sean McVay. The expectations were massive for RGIII coming into the league. He was the 2nd pick overall in the 2012 draft, behind Andrew Luck. He led the Redskins to the playoffs during an impressive rookie campaign. He made plays so exciting, that it left Jerry Jones scratching his head. His face was ubiquitous on the football field and off, due to his numerous endorsement deals. And then came the injuries…and injuries…and injuries. The fans, especially in Washington, are frustrated and their patience is running thin with their injury prone quarterback. I completely understand that, and their emotions are rightfully justified. However, consistently attacking RGIII is not the solution. If anything, now is the time to embraced the discouraged star and offer support during this early part of his career. Remember Peyton Manning is his first couple of seasons in Indianapolis? Atrocious. In Manning’s first year, he threw for a league high 28 interceptions and was responsible for the Colts 3-13 record. The subsequent season, the Colts were 6-10. But I think its safe to say that Peyton Manning’s career turned out alright. In the words of Aaron Rodgers, “Relax”. RGIII will be just fine.